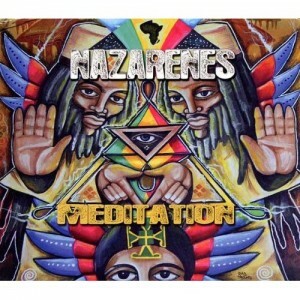 The last I heard of Nazarenes was a well-received album on the Heartbeat label back in 2004. I remember being highly impressed with it at the time, although when I listen to it again now, I recognize not a single track – a reflection primarily of the not-quite-there quality of the song writing, no doubt. That being said, I really, really like this new release. What I hear now, compared to then, is a new power, an increased intensity, an undeniable catchiness, a broader variety of sounds. Without denigrating in the least its elegance or artistic accomplishments, Meditation has more of what might be called “entertainment value.” Better song writing combined with better production? Probably so, and the frequent mention of Laurent “Tippy I” Alfred’s name in both co-writing and producing credits may be a big part of the explanation. Last time around the two Tewolde brothers who comprise Nazarenes handled almost the whole shebang by themselves. The vocals, including the delicious harmonies, are just about impeccable. The melodies are attractive and (very likely) memorable. As for lyrical content, it’s unmistakably Rastafarian in outlook, but the unusual breadth of scope is most welcome. That includes a gentle cover of the gorgeous tune “Mammy Blue” (here reinvented as an ode to mother earth called “Mamy Blues”) and a pointed song about the fundamental importance of food for everyone. Sure, there’s also a “come on, get together” kind of song and a “Politrickcians” too, but greater originality usually prevails. 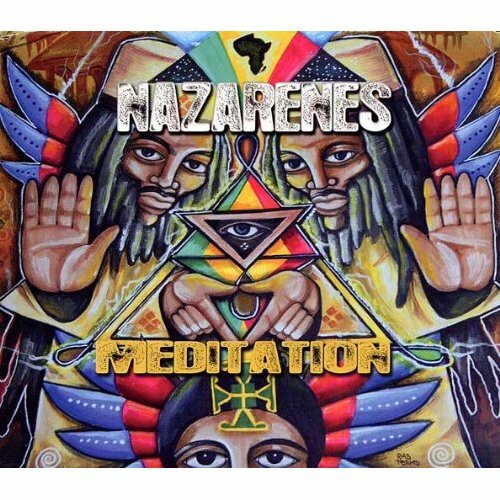 If you need or want a refresher on classic reggae-style harmony singing combined with appealing arrangements, engaging rhythms and endearing tunes, Meditation would be an ideal choice. I hereby vow that eight years hence I will fondly recall major chunks of it, if not the whole thing.